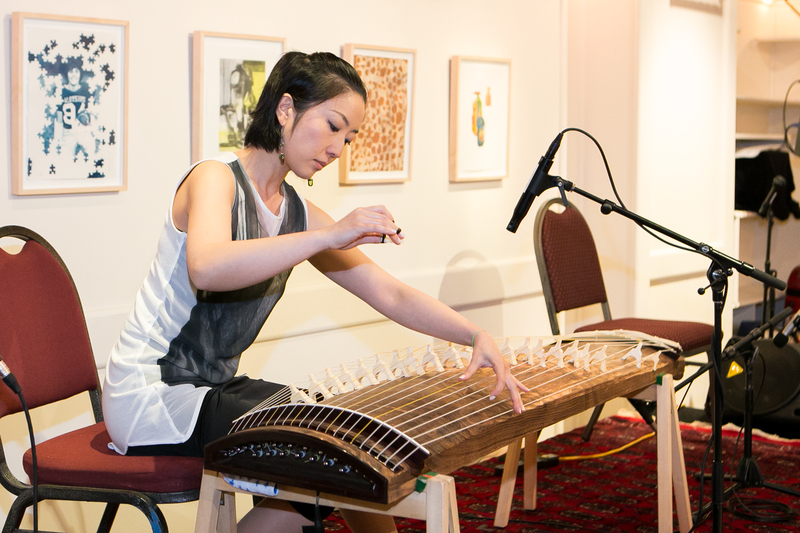 Koto visionary Yumi Kurosawa will be joined by world-renowned tabla player Anubrata Chatterjee for a performance that bridges the cultures of Japan and India on Sunday, February 10 at 2 p.m. in the Weis Center Atrium. The performance illuminates the deep-rooted similarities of their craft while highlighting their affinity and respect for one another as virtuosic performers. Kurosawa and Chatterjee spin mesmerizing musical tales as they enchant the audience and reinforce the powerful idea of music as a means to enhance the collaborative spirit of the global community. 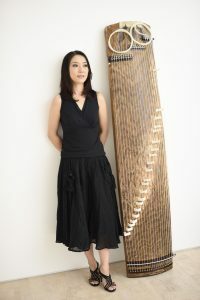 Born and raised in Japan, Yumi started studying the Koto when she was three and has been based in New York since 2002. Kurosawa received first prize at the National Japanese Koto Competition for students in 1989 and 1992, and a scholarship from The Agency for Cultural Affairs of Japan in 1998. Kurosawa made her Carnegie Hall debut in 2006. In 2011, she was principal soloist in Daron Hagen’s Koto Concerto Genji, which premiered in Stratford-upon-Avon, UK with Orchestra of the Swan and continuing to play with Hawaii Symphony Orchestra. In 2013, Kurosawa was principal soloist for the premier of The Memory Stone at the Houston Grand Opera. In 2015, she was a soloist and composer in the premier of Ballet: Tsuru commissioned by Houston Ballet and Asia Society Texas. She holds a BA in International Relations at Keio University, Tokyo. Son of the world-renowned tabla maestro, Pt. Anindo Chatterjee, Anubrata Chatterjee was nurtured from a very tender age to be a tabla player. He had the rare fortune of being the youngest and the last “Ganda-Bandh” disciple of the great guru, Padmabhushan – Deshkottam Jnan Prakash Ghosh in 1992. Subsequently, Anubrata continued his training under the gifted tutelage of his father. He made his debut as an accompanying artist with the legendary Pt. Hari Prasad Chaurasia and since then, has gone on to successfully accompany living legends of Indian Classical Music such as Ustad Amjad Ali Khan, Ustad Rais Khan, Pt.Shiv Kumar Sharma, Ustad Shahid Parvez, Sh. T.H.Vikku Vinayakram, and other respected musicians all over the world. 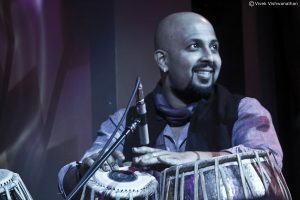 Anubrata has proved himself both as a soloist and as an accompanist, by his consummate tabla renditions. He has also given numerous memorable duet performances along with his father. Taking the ‘parampara’ forward, he has built upon his father’s style and expanded his own repertoire to display an amalgamation of power, grace, skill, and superb tonal clarity.